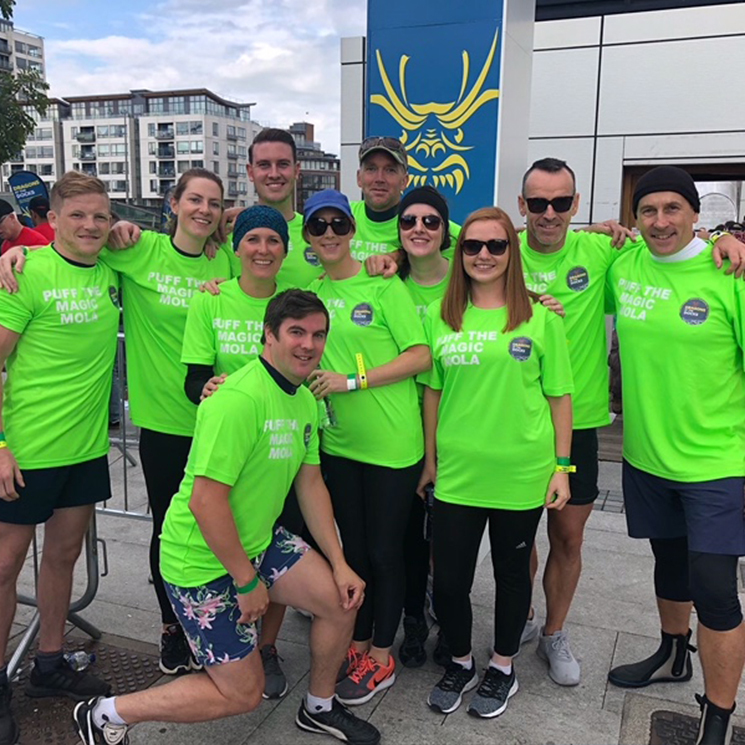 MOLA was delighted to take part in the second annual Dragons at the Docks charity boat regatta event in support of Dublin Simon Community and local charities. Our Puff the Magic MOLA crew got to the final of the Built Environment Challenge with a very respectable time of 55.68 seconds, missing out on a win by mere inches. Next year!! This year, the event raised over €250,000 for Dublin Simon Community, who plan to acquire five apartments for people to call their own.